We meet indoors three times weekly: for leading, top-roping and bouldering on Thursday nights at the Castle and on Tuesday nights at the Westway, and for bouldering on Sundays at the Arch. We also organise other ad-hoc meets at other London climbing walls. Our Thursday night meet is at Castle Climbing Centre, London N4. We convene in the Cafe from 7pm and aim to start climbing at 7:30. Attendance averages 20-30 people. There’s always a point of contact, whose job it is to introduce new members, help pair people up to climb if necessary, answer questions and generally make sure the evening goes smoothly. After climbing we reconvene at the Brownswood pub over the road, which is a nice pub with good food and a big garden. If you’ve climbed before, you’re welcome to join us at the Castle. You’re responsible for your own entrance fee and you’ll need to register to climb (which you can do online in advance) which involves confirming you can fit a harness correctly, tie in, belay and hold a fall. The Castle has changing rooms, showers and lockers. For more info, check the Castle website. Once a quarter our Thursday night becomes a Meet the Club night, geared specifically towards meeting and supporting our newer members. If you haven’t climbed before, the Castle runs taster courses – get in touch with them for more info. Though our members are always ready to share skills and help each other develop, we’re not a teaching club. You’re welcome to come to a few meets before we ask you to join the club. If you’d like to come along, please get in touch. We also have an informal meet on Tuesday evenings at the Westway in Ladbroke Grove. 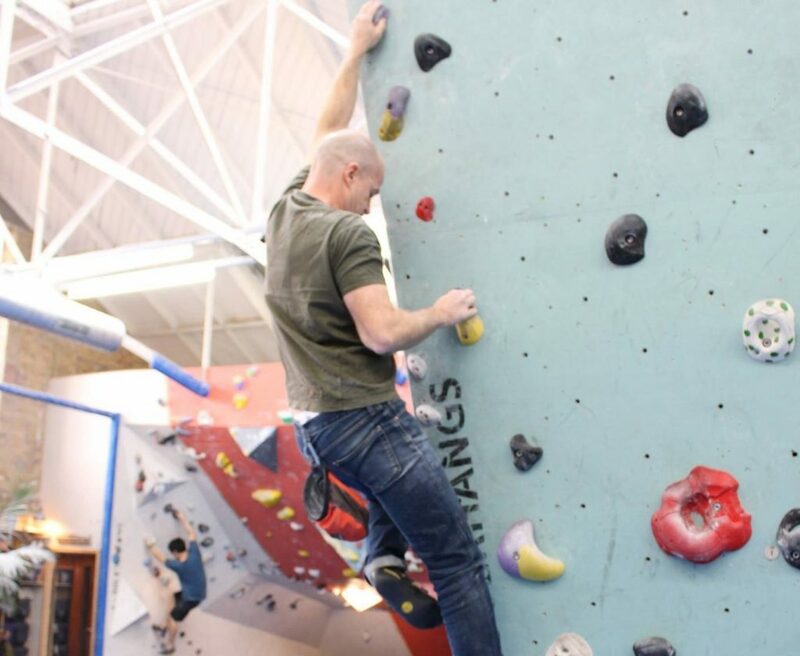 Our Sunday bouldering session takes place at Building One, the Arch in Bermondsey. Rock up any time from 11. These two are more informal meets than Thursdays, with no point of contact – but if it’s your first time, we’ll put you in touch with one of the regular attendees. If you’d like to come along to either of these, please get in touch.